This Minimum/ Maximum Dial type thermometer is ideal to measure the environment of indoors or outdoors. Designed for quick reference, the display uses blue and red colour codes to indicate safe temperature levels. 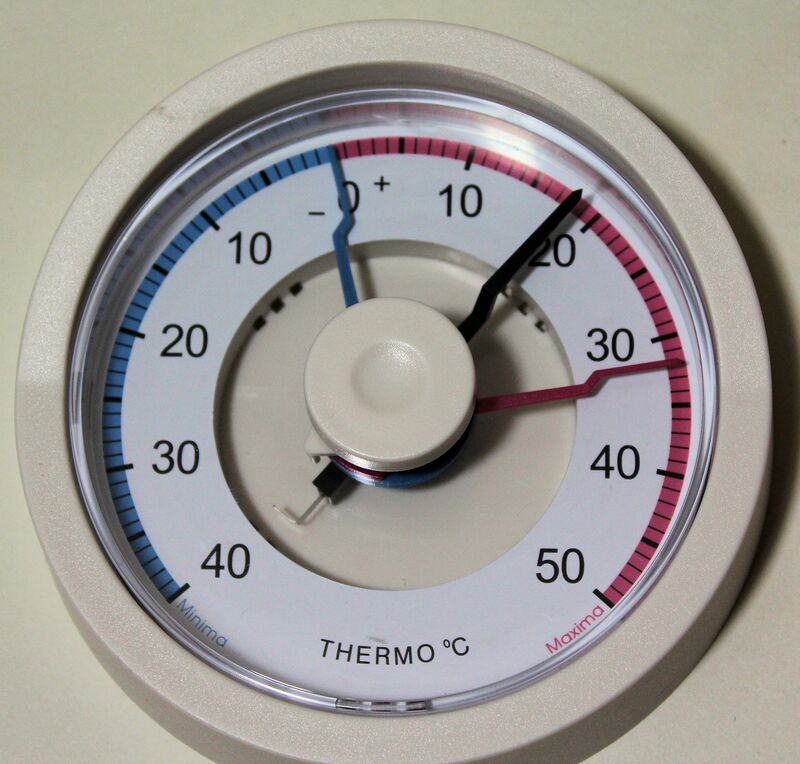 It t=give the temperature, more or less: and the max-min indicators are a clever idea. But in practice it is no use at all for recording max or min, because the hands are readily pushed and pulled (which nullifies them). I am afraid it is not fit for purpose. This surprises me, since it is come from Germany (but not, I guess, made there). Sorry to say so: there is room for something that is not another electronic device needing batteries. Very simple to use - could have done with some instructions on how/if it can be calibrated but worked it out fairly quickly.